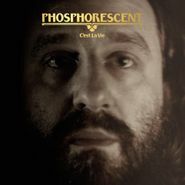 Phosphorescent’s C'est La Vie is a transcendent, grand piece of work disguised as a cozy, vulnerable Americana album. Lead single “C’est La Vie 2” is an excellent showcase for songwriter Matthew Houck, awash in textured soundscapes and hypnotic melodies, while his intimate, emotional lyrics float gloriously above. It’s the type of song that listeners will make an instant connection with; there’s just something universal about Houck’s muddling through love and life, aiming for the best, and maybe a little unsure of what that means. There’s a lot of heart behind this collection of gentle, golden songs.